Representatives from St. George’s University and Trent University announce the institutions’ new academic partnership. From left to right, Sasha Trivett, Dr. James Shipley, Sandra Banner, Charles Furey, Nona Robinson, and Dr. David Ellis. 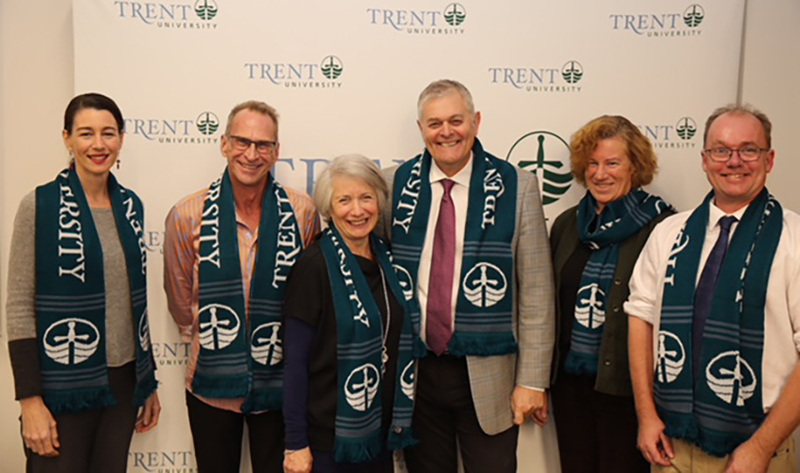 Today, St. George’s University announced a new partnership with Peterborough, Ontario-based Trent University to provide qualified Trent undergraduates with direct admission to its Schools of Medicine and Veterinary Medicine. The two universities commemorated the partnership at a signing ceremony on Trent’s campus. Canadian consultants Sandra Banner and Charles Furey were on hand to represent St. George’s. To qualify, Trent University students must complete the Medical Professional Stream, a four-year program designed to guide students into careers in medicine and public health. 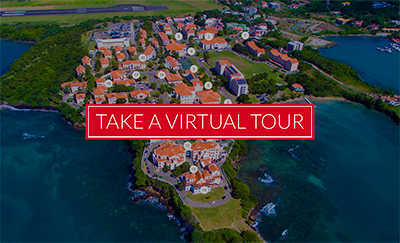 St. George’s new partnership with Trent is one of over 30 it maintains with institutes of higher learning in 12 different countries. This will be the fifth partnership for St. George’s with a Canadian institution.